I have a love/hate relationship with hash browns. I mean it. I love good hashbrowns. I remember eating them as a kid. My mom made great ones. Crispy on the outside, tender on the inside, just the right amount of salty, crunch goodness. So why can't I make them? Mine are never crunchy. They're always a little mushy. I'm a pretty good cook and yet, I have two things that trip me up every time. Hashbrowns are one of those two things. Any suggestions? I've tried several ideas from Pinterest. I tried cooking them in a waffle iron (that just made a mess). I tried steaming them before crisping them up. I might as well have made mashed potatoes. I just saw this one on Pinterest tonight. It looks promising, but I'm afraid to get my hopes up. Any suggestions. By the way, my second cooking challenge is garlic bread. For some reason, I always burn it. It's become a family joke. I believe in parmesan cheese. I love it. It improves almost any savory dish. I also love corn. I think this looks delicious. I love getting ideas for studying the gospel. I'm using a study journal that I learned about from my cousin. It's greatly improved my studying so far this year. This pin links to a Book of Mormon study guide for kids (but is probably good for any of us). So nice to be able to share good ideas. And now an opinion on the picture. I love some of the Book of Mormon artwork that has been done over the years, but I wonder if some of it is a little bit of a disservice. 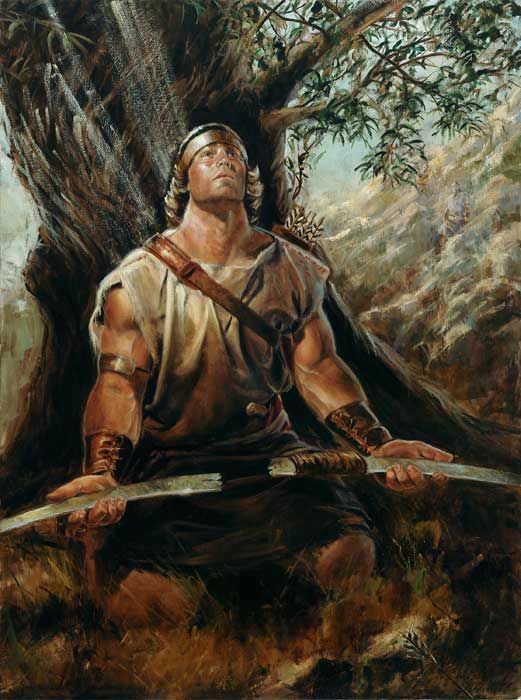 If I'm being honest, I don't think Nephi or Moroni or the Stripling Warriors were built like Arnold Friburg (and others) depictions. They almost seem to equate brawn with righteousness. I want to express my belief that even scrawny boys with skinny arms can be righteous. 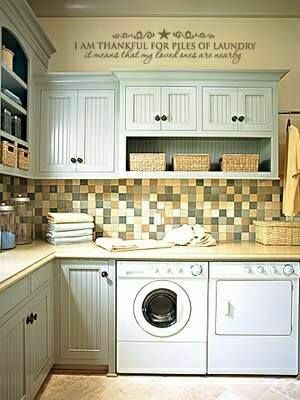 Do you think if this was my laundry room, I'd be able to keep my laundry caught up? 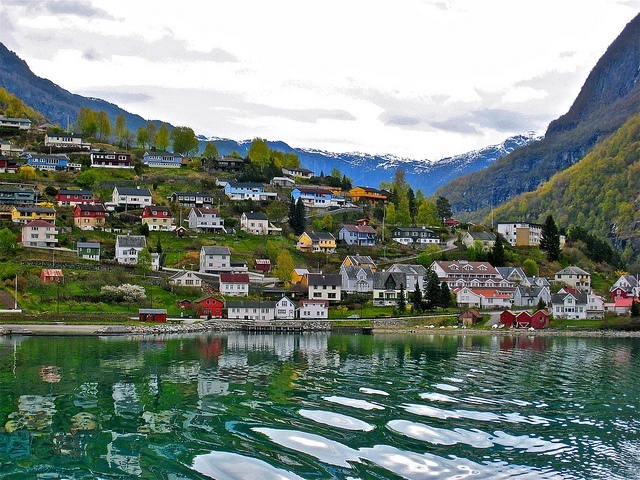 This is why I want to go to Norway. There are others. 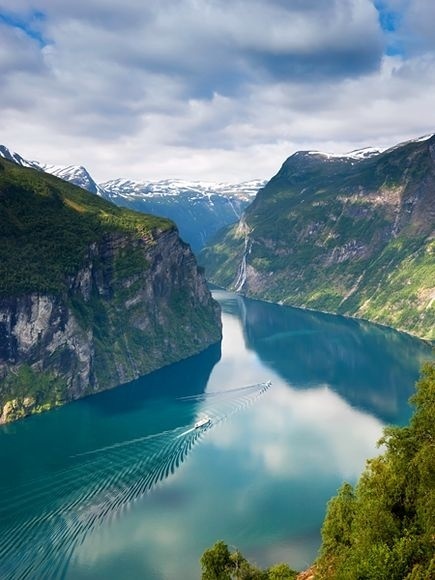 Like the fjords. And Grieg. I'm hopeless at hashbrowns too. Has your mom given you any hints?? I loved this posting. the variety was interesting and fun to read. I agree about the art work and the huge arms. I, too, feel they look unreal and out of proportion.